Bourbon enthusiasts looking to support a good cause have the chance to purchase a limited release bourbon, with a portion of sales going to Flaget Memorial Hospital Foundation’s Project Hope. 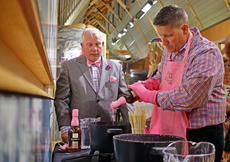 A bottle of special Evan Williams Single Barrel is dipped in pink wax during Heaven Hill's Fifty Shades of Pink Party May 4. The distillery still has bottles for purchase at the Bourbon Heritage Center, and a portion of sales goes to Flaget Memorial Hospital Foundation's Project Hope. 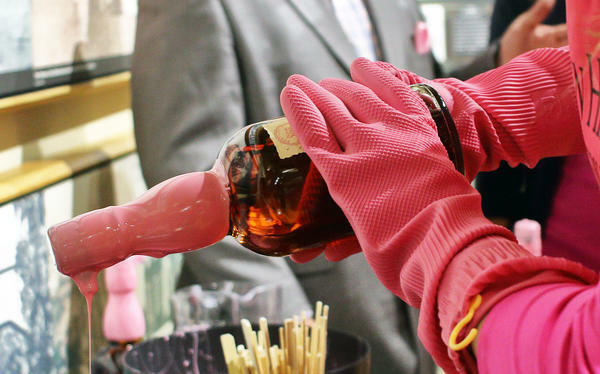 The bourbon, an Evan Williams Single Barrel 104 proof, is dipped in bright pink wax and was first made available to guests of the Fifty Shades of Pink Party the distillery hosted on Oaks Day. “The event was fantastic. We had over 100 attendees and the majority were local,” said Jeff Crowe, general manager of visitor experiences for the distillery. In addition to guests having the first chance to purchase the bourbon, the Fifty Shades of Pink event included dinner, cocktails, guest speakers, art prints by Jim Cantrell and music by the Derby City Jukebox band. 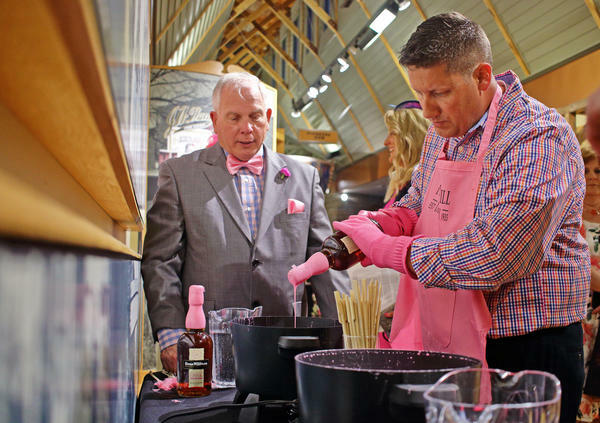 While the event was a success, the distillery still has some of the special bourbon available for the public to purchase so they, too, can support Project Hope. The $1.1 million fundraising campaign recently reached its first phase of purchasing 3D mammography for the hospital. Heaven Hill’s sales aim to help the project move closer to its second phase of the campaign, which is to add three infusion rooms for patient treatment and introduce an in-house pharmacy to the Flaget Cancer Center. Andrea Shepherd, who works with the Foundation and attended the Fifty Shades of Pink event, said the project is a special effort. “Our hearts are all behind it because it impacts this community deeply,” she said. The bottles can be purchased for $74.99 at the Bourbon Heritage Center, 1311 Gilkey Run Rd. in Bardstown, which is open 10-5:30 Monday through Saturday and Noon-4 on Sundays. Additional information on Heaven Hill and upcoming events can be found at heavenhilldistillery.com.